Martial artist, stuntman, stunt and fight coordinator, actor and assistant director Philip Silvera is known for his work on Deadpool (2016), The Dark Knight Rises (2012) (2012) and Thor: The Dark World (2013). Born in the Bronx, John studied the Chinese martial arts. Philip Silvera was born in the Bronx, New York. Philip Silvera is a former competitor in Chinese martial arts circuit who began working as a stunt performer around 2004. His first job was working on jazz artist Fred Ho’s off-Broadway play Voice of the Dragon (2004). He was a stunt performer in Director Hector Echavarria’s MMA film Never Surrender (2009). He performed stunts in numerous television shows including Law & Order: Special Victims Unit (2009), Chuck (2010) and has done numerous others since including Elementary and Limitless and more. He then became the stunt double for Commander Zhao in The Last Airbender (2010) and his career expanded and he began working as an action and stunt coordinator and fight choreographer, first in video games and later in films. 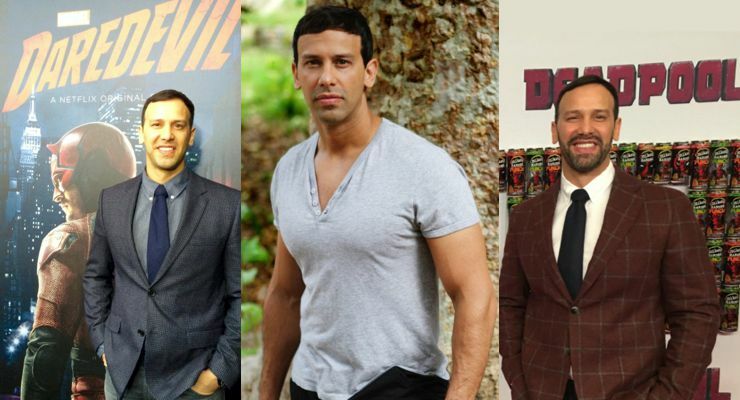 He began working in the films made for the marvel cinematic universe as stunt double for Álex González (Riptide) in X-Men: First Class (2011), then as an assistant fight choreographer in Iron Man 3 (2013) as well as playing Extremis Soldier. He then was a fight choreographer, stunt coordinator and stunt performer for the prologue scene in Thor: The Dark World (2013). In Captain America: The Winter Soldier (2014) and in The Amazing Spider-Man 2 (2014) he was a stunt performer. Philip designed and worked as the fight and stunt coordinator as well as the second unit director for the Netflix television series Daredevil (2015), another series based on the Marvel comic of the same name. Philip Silvera was involved in Deadpool (2016) almost from its conception. He was the fight coordinator for the Test Footage. He was also the person wearing the performance-capture equipment during the fight scenes. It was the test footage that was leaked and eventually got the film approved. Philip Silvera and the stunt team on Deadpool won Best Fight for the fight between Wade/Deadpool (Ryan Reynolds) and Ajax (Ed Skrein) at the MTV Movie Awards.